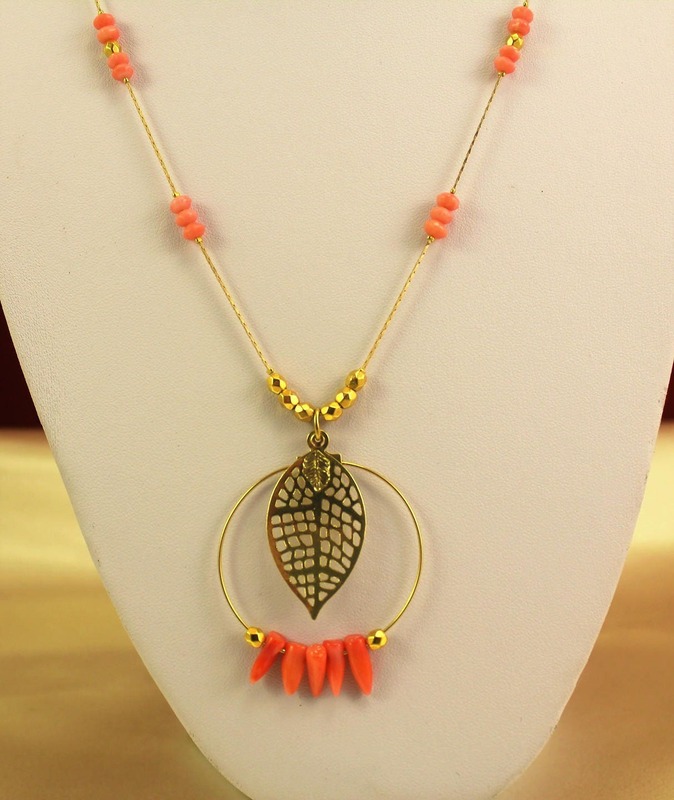 Very pretty necklace chic boho look necklace with a touch of originality made by an ethnic touch given by the spikes bamboo coral adorning the pendant. It consists of a beautiful gold plated round connector inside which is a beautiful print filigreed leaf delicately chiseled. 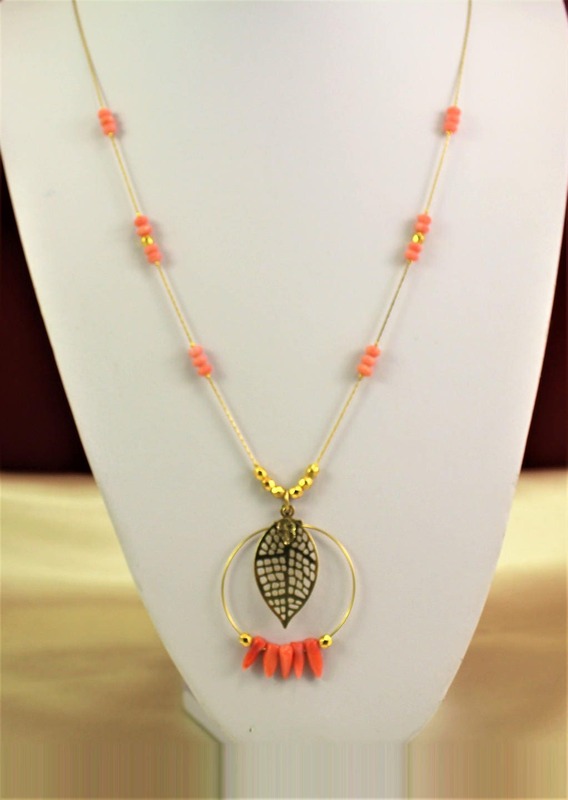 It comes with ultrafine chain plated gold decorated with pretty beads in coral and hypoallergenic gold-plated zamak. This gem fine will give a sophisticated, elegant and romantic touch due to the softness of color to any outfit. It measures 51 cm and it is extended by a 2.5 cm plated extension chain gold. It can be shortened on request. It comes in a nice box that is offered.